T-VICE MUSIC VIDEO FOR 2013 KANAVAL MERINGUE "LAGE BONM NAN" + RAM KANAVAL MUSIC VIDEO "MEN BWA'W" (WATCH)! *T-VICE MUSIC VIDEO FOR 2013 KANAVAL MERINGUE "LAGE BONM NAN"
* RAM KANAVAL MUSIC VIDEO "MEN BWA'W" (WATCH)! *BARIKAD CREW MUSIC VIDEO 2013 KANAVAL "TOF" (WATCH IT NOW)! *BRICKS OF BARIKAD TALKS "TOF" TO KOMPA MAGAZINE! 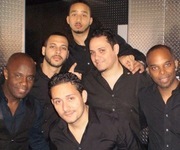 *RICHIE/PIPO KLASS: THE FIRST EXCLUSIVE IN THE STUDIO PICTURES + KM REPORT FROM INSIDE THE STUDIO!